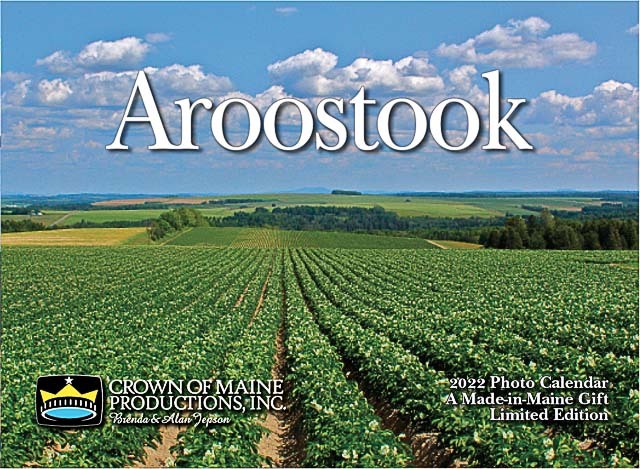 This year's Aroostook Calendar captures nostalgic and beautiful scenery that can still be seen in Aroostook County – from a classic barn and potato rows in fall, to a snow laden red barn in winter where cattle are lowing and from a lakeside sunset scene complete with old wooden wharf to a traditional church with springtime blossom. Stunning scenery from southern Aroostook to The Valley reflects the unique geography and way of life in this special corner of Maine. 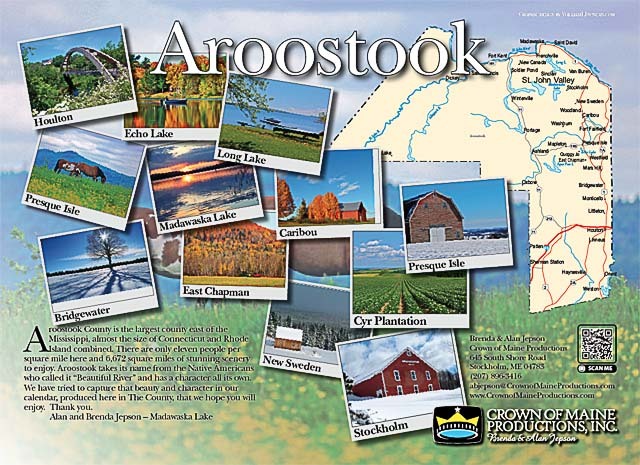 Includes a map of Aroostook marked to show where these beautiful locations can be found. Makes a great gift to be enjoyed all year long! Only 14.95. 07.07.18 9:18 Design and hosting by WilliamLDuncan.com ©2017. Content ©2017 Crown of Maine Productions, Inc.